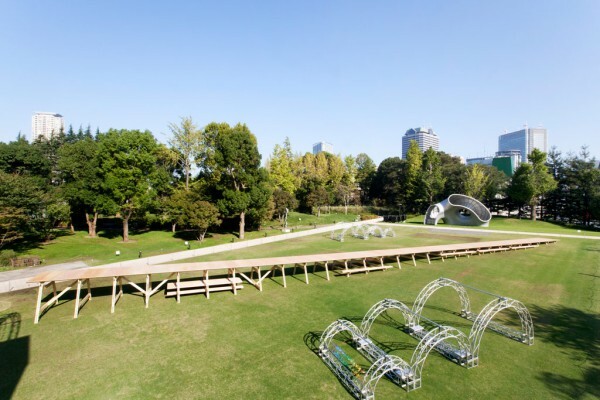 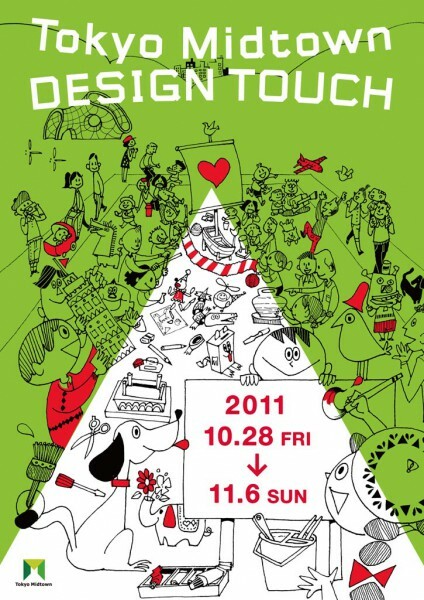 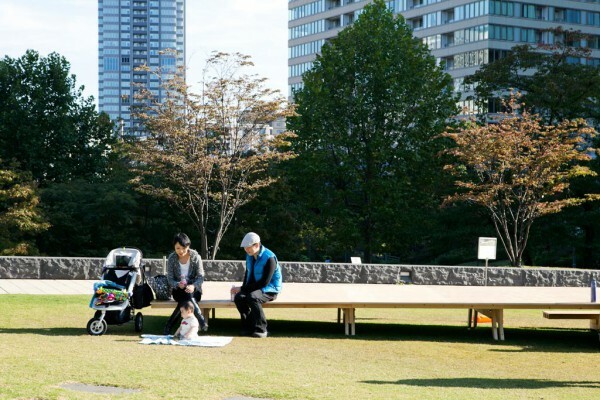 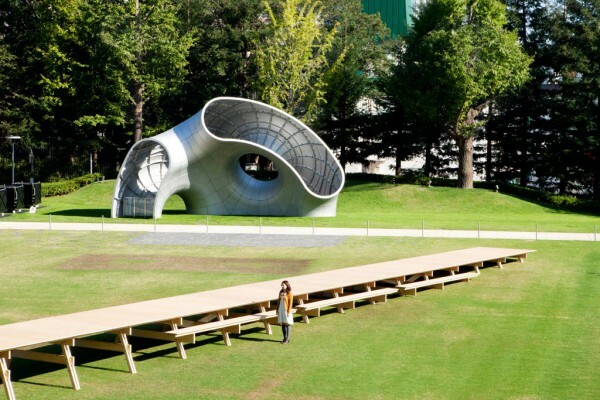 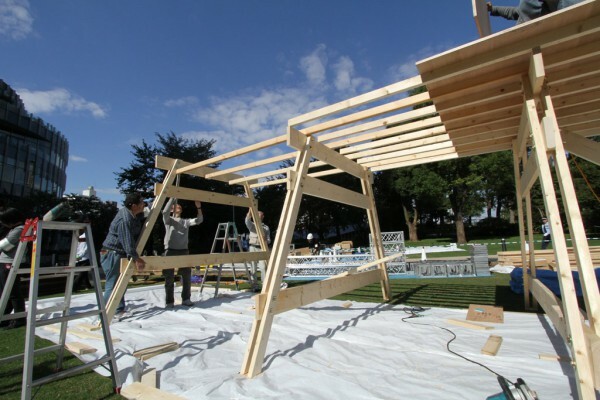 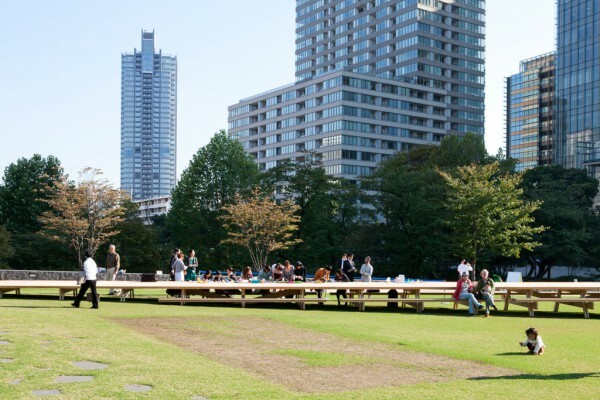 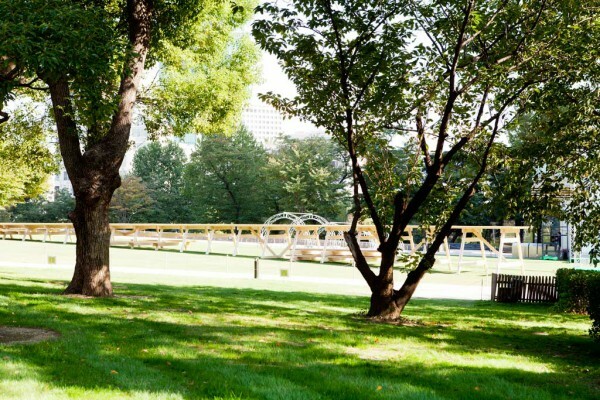 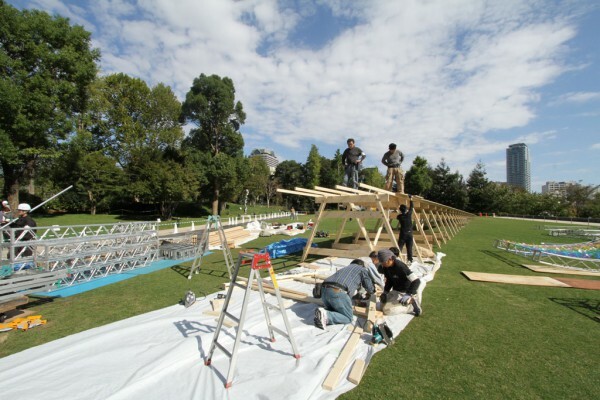 The Midtown DESIGN TOUCH Park kicked-off in a wide open grass field in Tokyo Midtown where design can be enjoyed with the five senses. 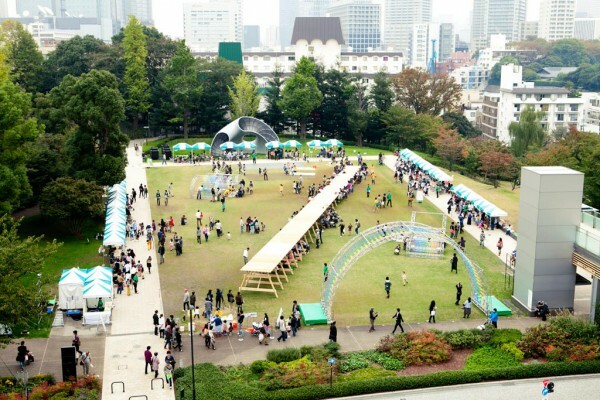 Here, we　proposed an open stage on which children and adults alike take part in workshops while having fun. 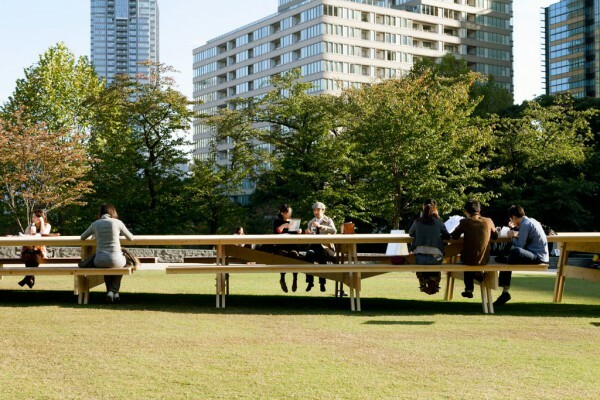 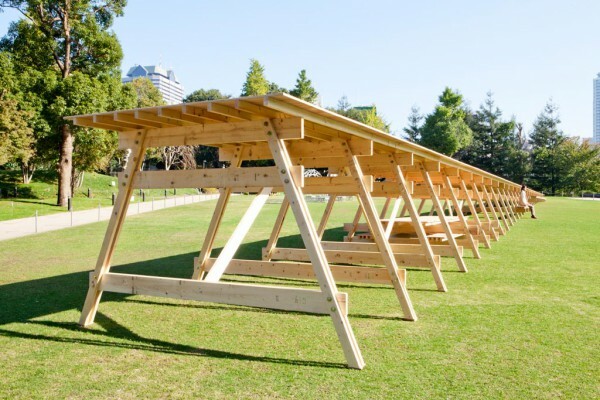 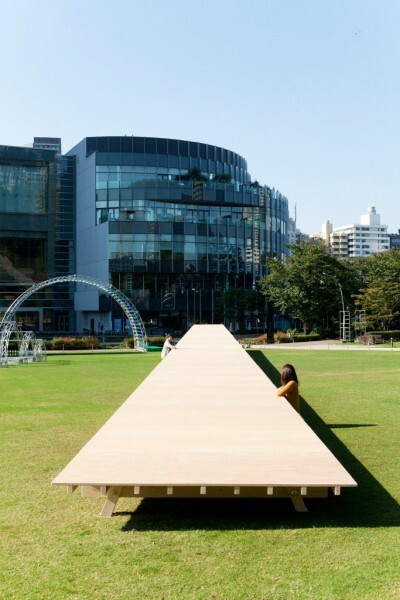 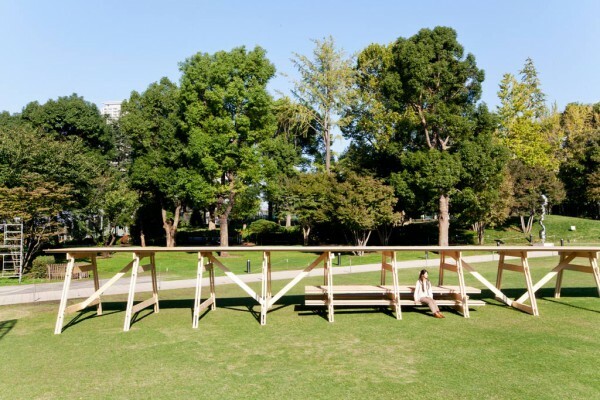 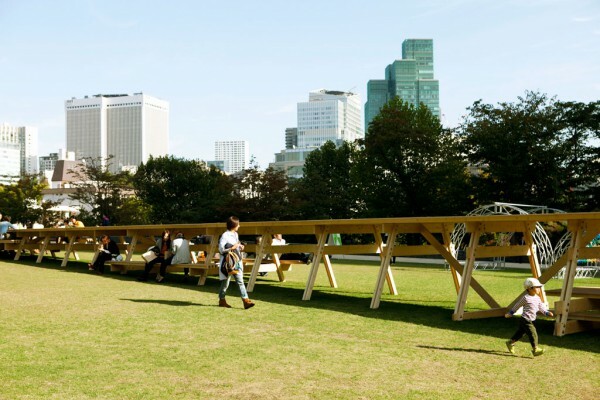 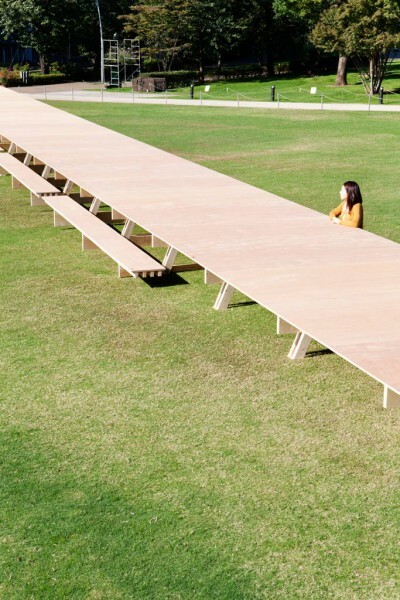 A very long table has suddenly appeared on the lawn. 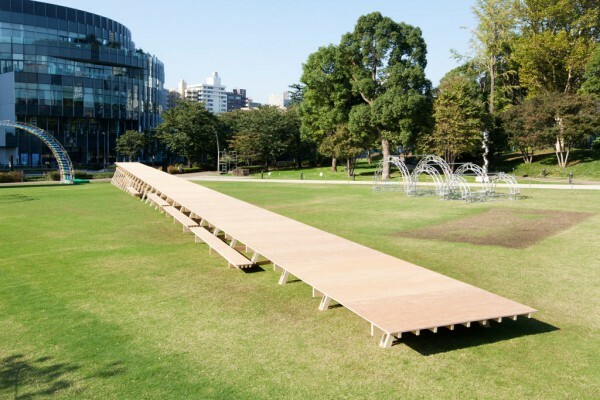 We installed a tabletop running 50 meters in a straight line, as if drawing a horizontal line on the gently sloping grassy field. 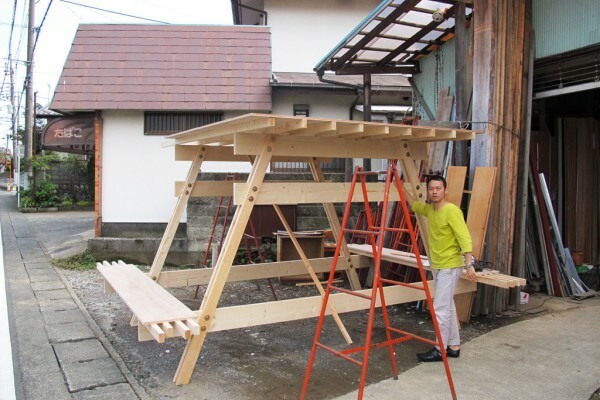 The table naturally grows taller as we move along the inclined plane. 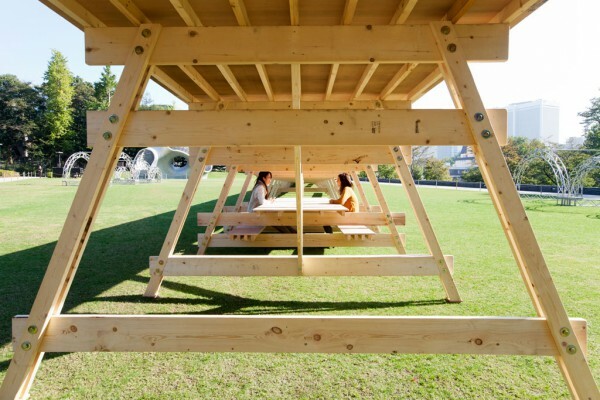 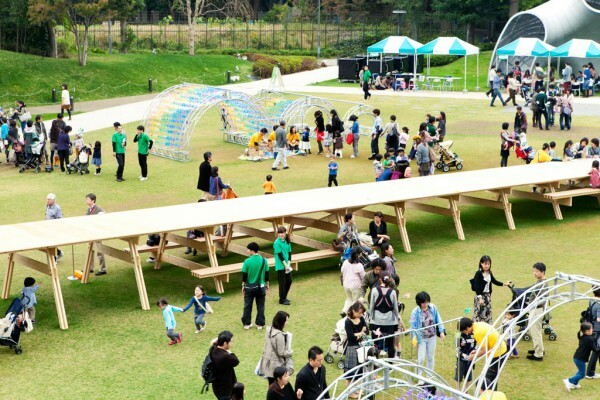 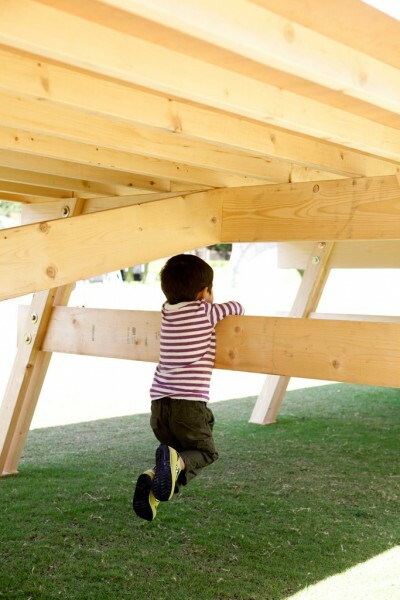 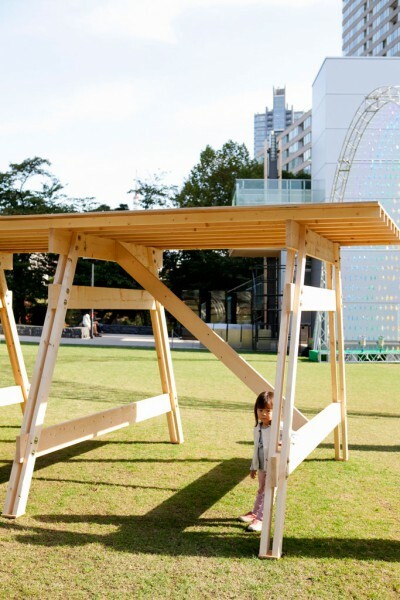 The structure serves as a symbol for the children’s workshop—it is a floor, a table, a bench, a playground or even a shelter. 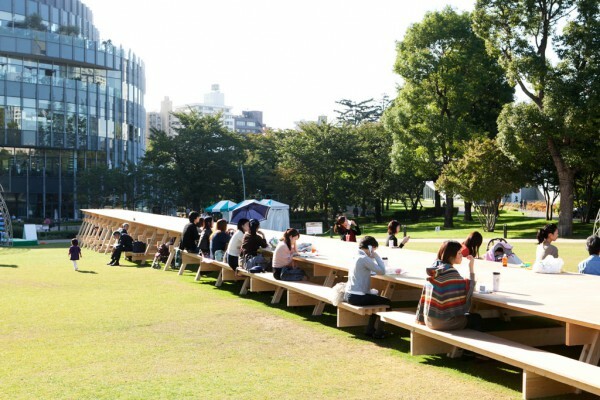 Various persons come all together around a single 50 meter-long table, discovering various places along the way; places to sit down, to stand up, to lie down or pass under. 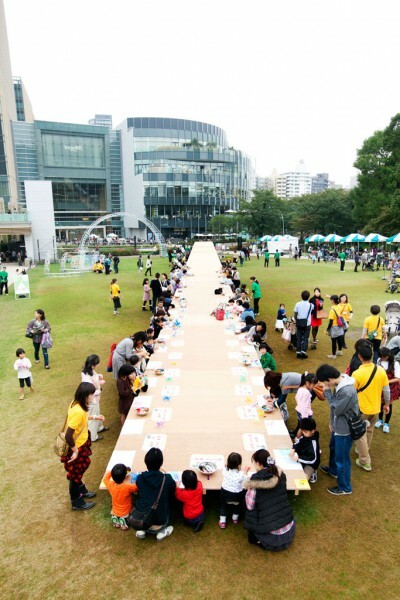 Like a big family gathered around a picnic table, this is a stage full of smiles where all citizens, young and old, converge to create something new.